If, like most writers, you find your creativity needs the occasional nudge, then you need to know how to use social media to uncover the secret sauce your latest masterpiece-in-progress might be lacking. By deconstructing the best blog posts, I’ve found they consistently contain one or more elemental ingredients – what I like to call content enhancers (or information on drugs) – that create an amplification effect on your writing. They also increase the motivation for readers to discuss, comment on, bookmark and share your content, increasing it’s reach and impact. Why use social media for research? Content flows fast via social media channels and with the right strategies you can uncover the latest and most interesting additives already sliced, diced, classified and rated for you by a community of keeners. Organic search is effective at finding what Google and the SEO folks have deemed most appropriate, which is fine for historical background research, but it’s not always so good at finding what people are discussing right now. As I’ll show, social media can augment your research in ways that traditional methods can’t. Each approach is split into two elements: the strategy (what you’re trying to create and why) and the steps (how to do it with social media). This technique isn’t targeted at finding any enhancers on purpose. On the contrary, it’s intended to give a helping hand to your creative destiny. Inspiration can come at random moments from unexpected sources, and you probably don’t have time to wait for serendipity to tap you on the shoulder. When faced with deadlines and writers block, your best friend is StumbleUpon. StumbleUpon is great for juicing the inspiration meter and while you can’t predict magic, you can give it a helping hand. The randomness of stumbling is an excellent way to get warmed up with some fresh “left field” ideas. We’ll use it to visit about 100 sites in 10 minutes. First of all you need to sign up at StumbleUpon if you don’t already have an account. StumbleUpon don’t seem to want you to find their regular search feature, but it does exist and it’s the fastest way to add some focus to your random search (if that makes any sense). Looking to the right of the search results, you’ll see a big green “Stumble results” button. This is where the cool part happens. When you click this button your search criteria are locked into the StumbleUpon toolbar in your browser, leaving you to stumble randomly within your search results, keeping you on topic. In 100 clicks or less (without even moving your mouse) the Stumble! button will show you a bucket-load of new material guaranteed to make your writing arm twitch with delight. Infographics are more than just the pretty face of content link bait. They also hold important statistics and data not generally indexed by search engines. Their massive popularity and bookmarkability makes them easy to find with your favourite social media sites. The goal here is to find infographics that you can embed in your blog post (with attribution of course), link to, or extract data from to add substance to your writing. Statistics are a great way to validate your opinions. What you don’t want to do is simply re-purpose the work of someone else, so make sure you are using the graphics and data as a true supplement to your own original piece of work. The best place to start is Delicious. 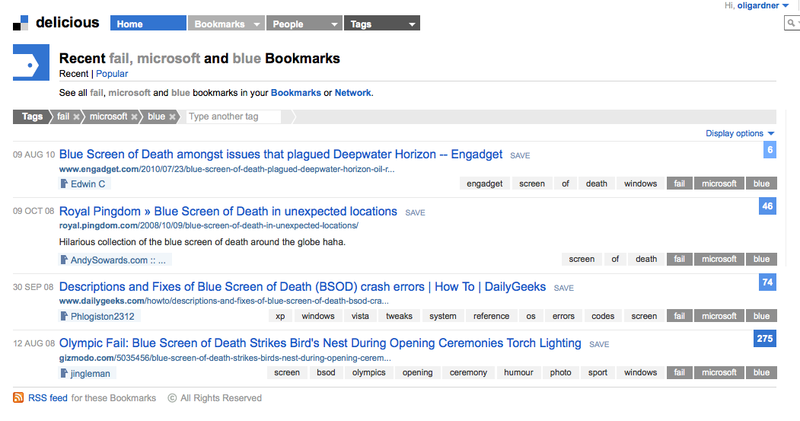 Here you can use tag exploration to drill down to a collection of content that’s been deemed worthy of remembering. Explore everyone’s tags by clicking explore from the Tags drop-down menu in the main navigation. Enter the tag “infographic” in the search box to find all the web pages tagged as infographics. You’ll be able to gauge the popularity of the results by how many times they’ve been tagged. Avoid trying to re-order your search by clicking the “Popular” filter as this removes your secondary tag for some reason and you’ll end up with a generic list of infographics. Where else can you find infographics? The Cool Infographics blog is one of the best curated collections of infographics. Flickr is a good resource where you can enter a simple search e.g. “iphone infographic” and of course Google Images too – with the advantage that you can see the images rather than just the links. Remember though that we’re trying to utilize social media as a research mechanism that relies on the folksonomic power of the crowd rather than the SEO prowess of the content creator. Add the latest information to your blog posts to give them extra relevancy and timeliness. This will help establish your blog as a source for freshness, and by linking out to new content and commentary on your subject you’ll capture the attention of your sources. This is a passive search technique that does the work for you. To get started, search for relevant keywords and hashtags on Twitter and leave each search open in a new browser tab. Notice how the result counts (the number in parentheses) increase to let you know “in real-time” of any new tweets on your subjects – here I’ve searched for #fashion, #LadyGaga and pararazzi. Leave these tabs open the whole time you are writing, and check in on them every once in a while to see if anything interesting is happening, then add last minute links, quotes or references to your post before publishing. This research technique can make you a facilitator, connecting people with events targeted directly to their interests. List relevant upcoming meetups (there’s a new meetup starting every 20 seconds), conferences, parties and causes in your blog posts. If the subject of your post is the event itself (preview, live-blogging, review) you can find out who is attending, establish connections in advance to arrange hookups and people to interview. In Plancast, visit http://plancast.com/search and enter your topic. Then filter by Users (to find people in general) or Plans (to find events). In this instance, I searched for iPhone plans which brought up a list of iPhone related conferences. Once you have found an interesting event, you’ll be able to see who’s attending and connect with them. 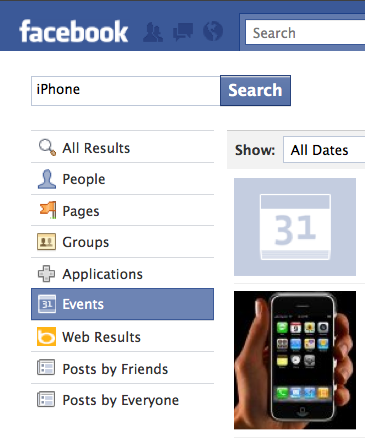 Then jump over to Facebook, go to http://www.facebook.com/search/ and select the Events tab. You can search for the same event here and find other ways to connect with attendees. Expert opinion can establish authority and credibility for your blog posts and gives people more reason to bookmark and link back to you. If you add interviews or quotes (see strategy #6 below) to your content, the extra voice can inspire community interaction. Your source can engage and answer questions in the comments section and they may be inclined to help market the post for their own benefit – giving you more exposure. Often you can create a reaction from others simply by linking to their content or citing them as an expert in your blog (as they’ll often get a pingback notification) – but first you need to find out who the experts are on your topic so that you can link to them and their work. In LinkedIn, there are several ways to find experts. But your goal here is not only to find them, but to be able to contact them. In order to be able to contact a person on LinkedIn you either have to pay for the right to send what they call InMail, or you can join groups that they are part of, geting you inside the circle of trust without paying for it (the group membership acts as your connection mechanism). First, search the “People” section to find out who’s describe themselves as having expertise on your subject. In the example below I’m searching for blogging experts. Browse the search results for interesting people and you’ll see whether you have any group memberships in common. If you do (I have 3 shared groups in the example below) you will be able to message them directly and communicate about the upcoming blog post you are writing, requesting an opinion or insight based upon their expertise. If you don’t have any groups in common, click through to their profile to see the groups they’ve joined and apply to become a member. Some groups allow instant access, others require that a moderator approve your application. Searching the Answers section allows you to find people who are actively engaged in conversations on your topic. Look to see how well they were rated by the person asking the question. The number and quality of their responses will help you gauge their level of expertise. 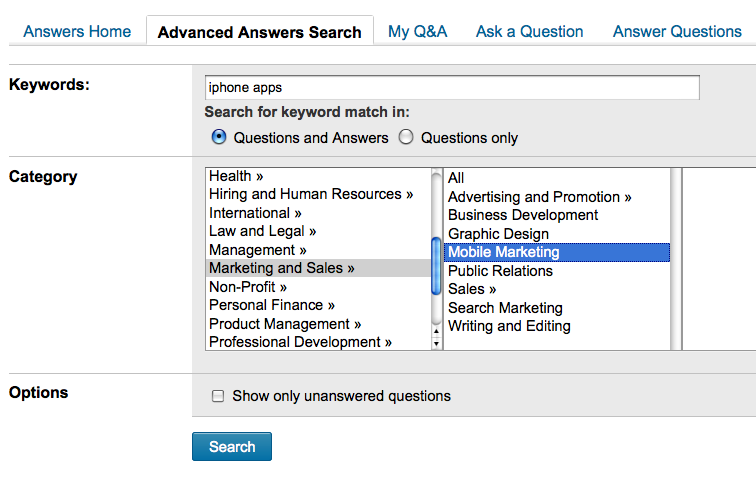 In the Answers section, you have the ability to send questions to entire segments of LinkedIn. You can ask up to 10 questions per month for free and can send each question to up to 2 segments of the community, plus any connections you already have. The beauty of this method is that you can ask a question on the topic of your upcoming blog post and have people reply directly to you. If you find someone with a particularly smart perspective, get in touch and suggest a collaboration. NewsBasis is a new media-relations service which aims to connect journalists and businesses. If you register as a journalist (there are rules – you need to be a news based writer with a connection to journalism), you will be able to search for and connect with people identifying themselves as experts on different subjects. It’s back to Delicious once again to find some choice words for your blog post. Quotes can add depth to your posts by showing the opinion of trusted or well known figures in your industry. It also shows that you’ve done your homework. Attribution (via a link) might get you noticed by the person in question which can lead to them sharing the content on your behalf. If your quotes are obtained via expert interviews (see strategy #5 above), they provide important social proof because you’re exhibiting a connection with a respected thought leader – and the associated validation that comes with that connection. If you’ve already found some experts from strategy #5 above, you will have extra resources to tap during this exercise. In Delicious, we’ll reuse the tag exploration technique discussed in strategy #2. The primary tag this time will be “quotes”, and the secondary tag will be either a person’s name if you are researching somebody well known, or a topic to find a broad range of quotes about your subject. The example below shows the humorous results found when searching for quotes by Steve Jobs about iPhones. Next, take a trip over to http://search.twitter.com/ and enter the hashtag #quotes or #quote along with other keywords to find a mix of well known quotes by famous people and off-the-cuff remarks. Twitter quotes are generally less serious and can be used to throw some casual statements into your writing. Be sure to mention where you heard the quote (e.g. overheard on Twitter) so that you’re not suggesting it was obtained via a personal interview. Try searching for #overheard and #name-of-an-event to gather commentary from an event for live blogging and event coverage. The comments section of blogs (both your own and others) are a goldmine of insight into what people want to know. It comes in the form of questions, arguments (debate) and suggestions. Writing content that solves a real and existing problem is a fabulous strategy – knowing thy user is a key to really successful content. For example, if you wrote a piece about 10 beautiful Facebook fan page designs, and a reader commented: “They look awesome, but how do I convert my visitors into becoming fans?”, you’ve got the perfect topic for a follow-up post: How to convert Facebook visitors into Facebook fans. Read the comments on your blog to find out which are the most popular and find the unanswered questions. Many blogs have a “most commented” plug-in or widget which orders your posts by the number of comments. Start your search at the top of this list. Use a recent comments plug-in to keep up to date with comments as they come in and keep a log of any that contain questions or insight. BIG TIP: Search comments for question marks. Using WordPress as an example, you can go to the comments section and enter ? into the search box. This gets you to all of the questions on your entire blog right away. Get in the habit of subscribing to the comments of big posts on your favourite blogs. (HOW?) If you find a good discussion, make a comment and check the “Notify me of followup comments via e-mail” checkbox to receive updates. Study the patterns of the updates you receive in your email and apply filters so that you can apply tags (in Gmail) or dump them in a certain folder. This lets you deal with them when you need to – there will be a lot of them. Although this part’s not entirely social (it doesn’t matter now that you’ve read most of the post), another great way to derive blog inspiration is to look at the keywords that were used to find you via search engines in Google Analytics. Sometimes you just find junk, but other times it can be a game changer for your content strategy. I recently looked at a single days searches and 80% of them were phrases related to seeking answers to customer service related feature problems. Two things here: you could make sure you have an exposed and searchable knowledge base for your product/service if you have one. Or you could write a blog post directly addressing the last 25 questions to come via organic search – thereby creating a support content resource, but also creating editorialized content in a list format that your users can bookmark. While not exactly examples of fine literature, it’s an acknowledged fact that lists are a consumable content blueprint befitting the ADD riddled web reader persona. And what’s better than a list? A mega-list. Consolidating great content into a centralized place makes things easier for everyone. It’s also an opportunity to create something original and VERY shareable. If you search for top 10 lists on a given topic (as we’ll do shortly) you’ll no doubt find a lot of them – all competing for attention. By collating information you create content that people will bookmark and share. What you want to do is find every good list on a given subject and combine the information (links and descriptions) along with a new total count to produce what appears to be THE authoritative reference on the subject. It works particularly well for collections used for inspiration: 833 beautiful Twitter background designs, 294 online contest ideas, 147 ways to say I love you etc. Grow the list count by asking people to suggest other lists to add to your mega-list in the comments. With enough feedback you’ll be able to do another roundup post with an even bigger number a few months later. How will it help your blog post? It will make your post stand out from the regular top 10 lists. As an authoritative list, you’ll garner backlinks, references and bookmarks. By now you should know the Delicious drill, go to http://www.delicious.com/tag/ and enter lists or top10 in the ‘type a tag’ search box. Then enter your blog topic as the second tag for your search. The example below is used to find top 10 lists for iPhone apps. It’s worth trying different tag structures for phrases with more than one word, e.g. top10->iphoneapps or top10->iphone->apps. Stop by http://www.stumbleupon.com/search and try a straight search using the keyword “top10” followed by your topic and click the “Stumble results” button and spend a few minutes using the technique from strategy #1 to find some extras to add to your mega roundup. You won’t find an awful lot on Stumble but it does tend to have some weird and wacky results that you might not otherwise find. You can use these at the end of a mega-list to provide an entertaining tangent. There’s a reason why the phrase “there’s an app for that!” has become commonplace – there really are apps for everything. By doing the research to uncover cool apps on your blog topic you’ll give people an actionable takeaway from your post. You’re also giving the app developer a reason to market your post. There are two primary uses for your app search: adding an app to a blog topic to illustrate how your subject manifests itself in the digital realm, and creating roundup lists such as Top Ten’s (see #8 above). Doing a list post of apps for your niche is a simple way to create interesting and useful content. Here’s an example: iPlaid – 11 apps for the aspiring hipster. I’m including the Google Apps Marketplace here as there is a social element in the ratings and reviews and because it’s a fast growing hub of online app development for almost every niche. You can’t go wrong writing about Facebook at present, so start your research there. 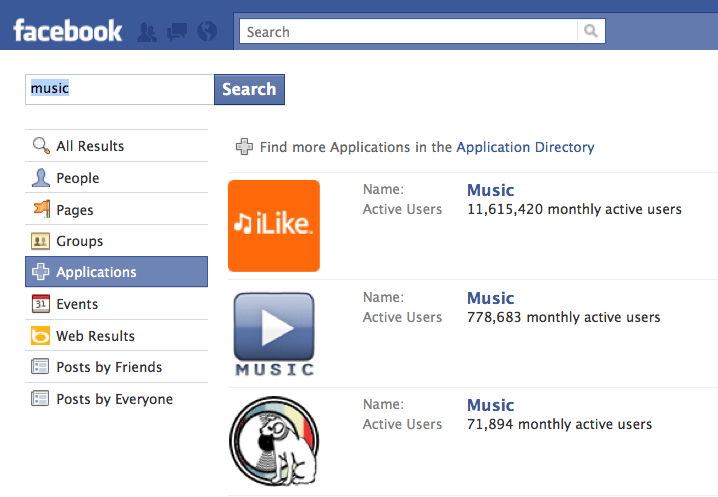 Most Facebook apps are super annoying, so if you can uncover something useful you’ll be providing value. Go to www.facebook.com/search and click on the Applications category to search for your topic. Are you sick of Delicious yet? I am, but as much as I’d like to ignore it for a while (for the sake of the repetitiveness of this post), it’s the best social research tool around, so we’ll jump back into it one last time. A more interesting destination for an app search is the Google Apps Marketplace. In order for a company’s product or service to be listed in the marketplace it must integrate with Google’s own apps (Gmail, Google Calendar, iGoogle, Google Docs etc.) in some way. 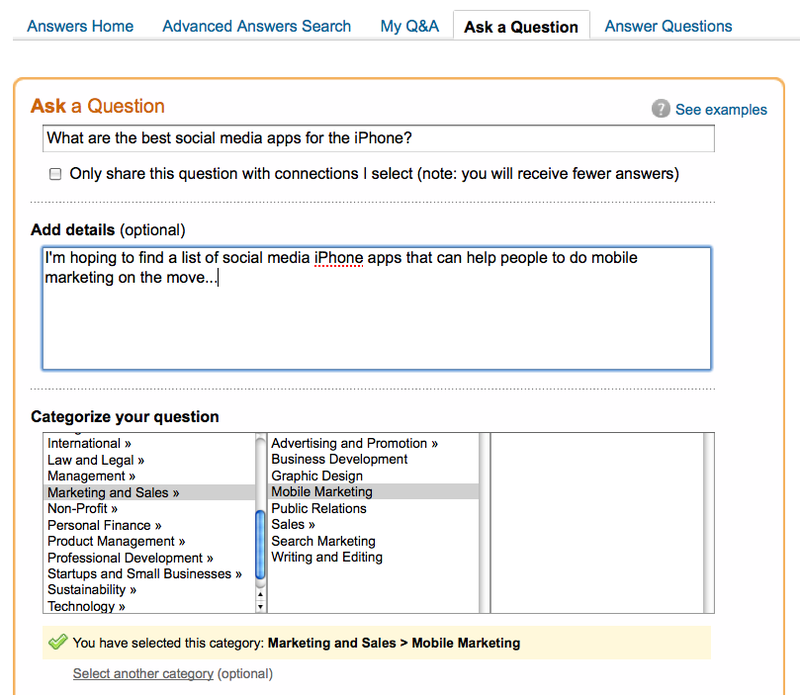 Apps in the marketplace have user reviews and ratings to help you pick the best ones to recommend in your posts. If you’re a business writer, there is a ton of inspiration to be found just by checking out the new and featured apps. 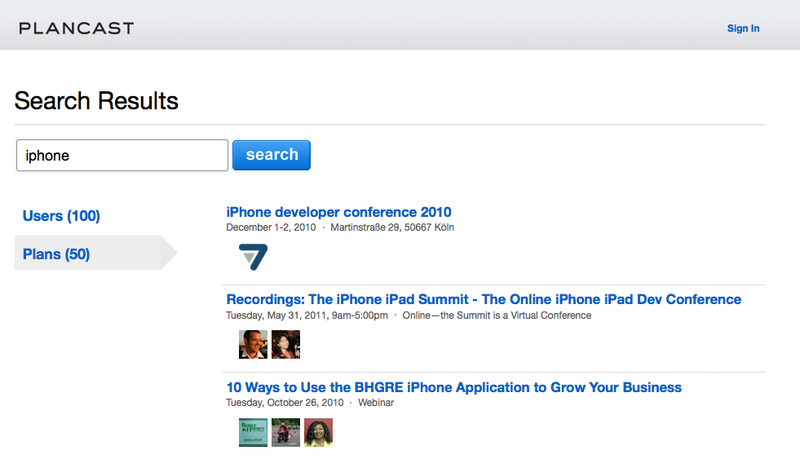 Filters let you refine your search according to which Google apps they integrate with. 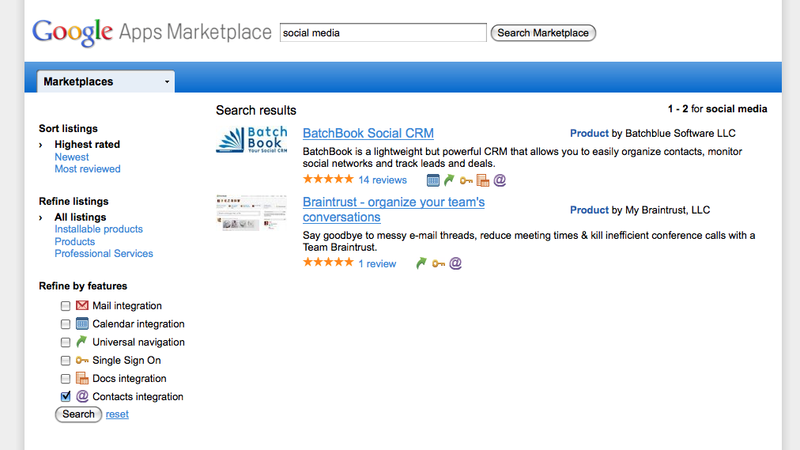 The example below shows results of a search for “social media” apps that integrate with your contact list. Borrowing the “and now for something completely different” concept from Monty Python, humor can either be the basis for your whole blog post, or it can provide a nice change of pace as an aside. As a content enhancer, humor is like gold, and the medium within which it’s commonly presented – photo and video – provides both comic and visual relief to your readers. The word FAIL has become synonymous with funny moments of weakness. Use it as a way to expose the “what not to do” angle as a counterpoint in your articles. If you’re writing about a company or product, you’ll easily find a list of their biggest gaffs with the techniques below. Notice how there is an RSS feed link at the bottom of the search results. If you subscribe to the results with your favorite RSS reader when you start doing your research, you will get updates whenever someone tags more content in the same way. 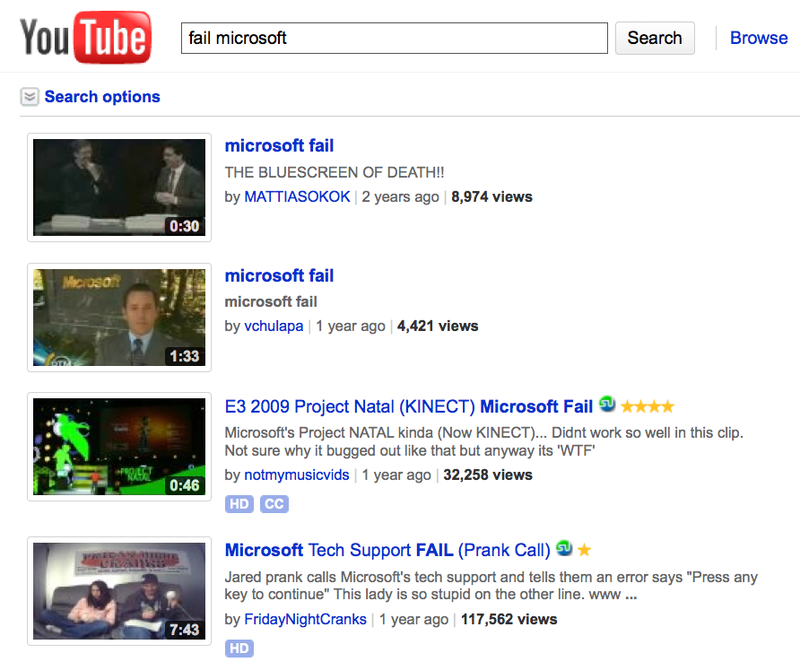 A similar search on YouTube uncovered videos on the same topic. Adding video to your posts will increase engagement, time on page, and the shareabilty factor. In a study by eyeviewdigital.com shows that using video can increase conversions by 80%. In an A/B test featured in WhichTestWon.com conversion rates (in this case the number of signups for Napster accounts) were increased by 18% by the inclusion of a video. As a blog writer, the primary conversion goal of your post is often to get it shared to increase the reach of your blog. Clearly video is a useful aid toward this end. Notice how I just used some content enhancers to back up my point? A quick search for the term “advertising” on Fail Blog brought up this little gem. Add your own topic and find a wealth of user submitted content. Remember to use attribution. 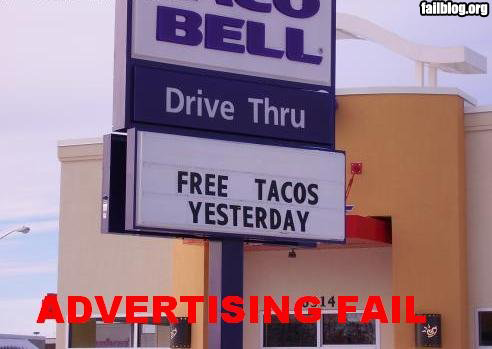 (image source http://failblog.org/2009/05/24/advertising-fail/). If you’re writing about a new topic or a buzzword that’s generating lots of attention, doing a quick search on UrbanDictionary will give you some of the most original and side-splitting comedy available online. It’s often NSFW, but even if you can’t use much of the content there, your job will be more fun having checked it out. 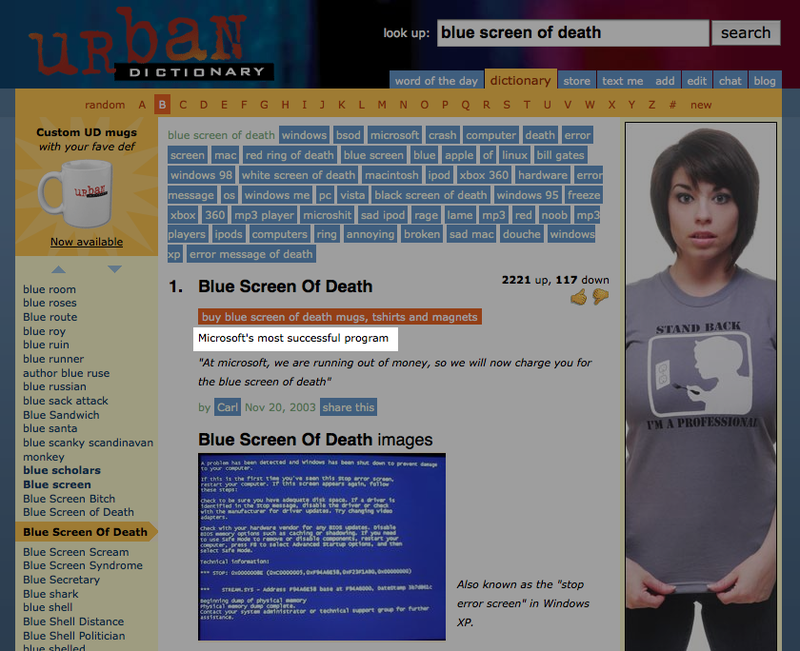 I just searched for Microsoft blue screen of death – check out the highlighted quote (in white) from the first answer. Pure gold. With these 10 research strategies in place, you’re ready to add some socially discovered enhancements to your blog posts. Use them as a supplement to your regular research tools and you’ll create more enjoyable, readable and sharable content as a result. Did I miss any enhancers? What else can you use to power up your blog posts?